It’s been an exciting couple of months since our last issue! Not only did we get the announcement of brand new Pokemon games (Sun and Moon), Nintendo also had a new Direct with a few surprise announcements including Kirby Planet Robobot (3DS)! 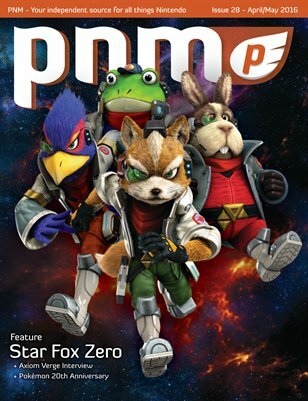 In this issue, we give an overview of the latest Star Fox game, Star Fox Zero. We also interviewed the team behind Axiom Verge which is coming to the Wii U later this year. If you’re a fan of beautiful pixel art and Metroid-like gameplay, you’ll definitely want to check it out. Also in this issue, the Pure Nintendo staff share their memories on the 20th anniversary of the Pokemon franchise and we preview The Girl and the Robot. It’s hard to believe it’s been 20 years! Be sure to also check out our latest reviews and fan art as well! Happy Gaming!